Chris and his team at Seagrass wear many hats for your satisfaction. We understand that you spend a lot of time and money on your house from the moment you close the deal. Keeping your home up to date with the latest trends and making sure it remains visually appealing is important. It keeps your home safe, fully functional, attractive, and comfortable. From the kitchen to the bathroom and everything in between, we have you covered. Rest assured that our experienced contractors will treat your home as if it were their own. If your bathroom is lacking the space you need, your kitchen could use some revamping with a new floor installation, or you need an extra room built for your newest addition to the family, simply call on the Seagrass team. Give us a call or send us a message to get started on your next project! High quality all wood custom cabinet shop based in Savannah, GA.
At AWD our goal is to provide our clients with high-quality, architectural woodworking in furniture and cabinetry design execution, which has been customized for individual needs, including desired style, creative design, and purposeful functionality. We draw inspiration from our clients, in talking to them and studying their homes and environment: a single word may lead to the specific interpretation for each individual piece and design process. We offer all types of styles from the traditional to retro, vintage-inspired to contemporary. Whether the dream is to transform a kitchen into "Culinary Art" or to create a stylish environment in home or place of work, AWD will provide the creativity and expertise needed to translate the aspiration into reality. To guarantee a favorable experience, we work closely with our clients in order to develop a vision that meets needs, tastes and budget. At AWD our devotion is to the craftsmanship of the finest custom cabinetry and furniture. Imagination takes form as the ideas we develop are brought to life by the hands of our skilled craftsmen. We believe our client's dreams define the quality of our products regardless of personal style and taste. Our custom design reflects ideas of form and functionality while retaining a vision of understated elegance in the creation of a complete living environment. Our reputation for providing the finest in quality custom cabinetry and furniture pieces translates into a concept t created for each individual project. An outstanding selection of wood species, color choices and specialty finishes are part of the AWD experience - AWD cabinetry and furniture can be crafted in any domestic or exotic wood species. Truly custom, we build project to match exact specifications of height, width, depth, door style and finished selection. At Pinnacle woodworks we specizile in Cabinetry, Custum woodwork , Carpentrty and hand made Furniture! We have over 20 Years of combined experience in the woodworking and construction industries. We take great pride in our work and strive to be the best in our field. 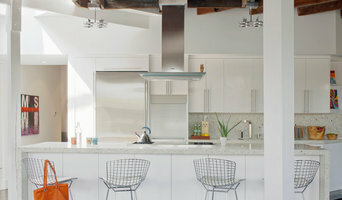 Edgewater Kitchens, <a rel="nofollow" target="_blank" href="http://www.edgewaterkitchens.com">http://www.edgewaterkitchens.com</a>, has over 40 years of experience. We understand that you are unique and so are we. We offer full design, and installation services with materials that range from quartz to granite countertops. Our goal is to offer simplicity, sustainability, and functionality when designing your elegant and grand "dream" kitchens. We are one of the few firms to offer "one-stop shopping" with talented in-house kitchen designers and experienced installation crews. With a wide variety of custom and semi-custom cabinetry as well as numerous accessories and hardware products you ideas can become reality. 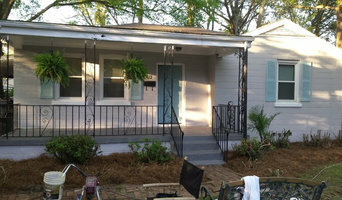 The House Doctor is a licensed general contractor in Savannah, Georgia, with over 30 years of experience. We are dedicated to providing an extraordinary level of customer service and craftsmanship to ensuring quality in even the smallest details, to earning your trust at every stage of the job and to building long-lasting relationships with our customers. The House Doctor specializes in residential and commercial restoration, renovation, and remodeling. We assist customers with kitchen and bath remodels, painting, interior and exterior restoration, historic preservation, and general home repairs. We take pride in our work and strive to bring our customers' dreams, visions and plans into reality. Pembroke Faucette, owner of Sundog Woodworking, has specialized in custom woodwork and carpentry for over 15 years. Completing both residential and commercial projects, Pembroke takes pride in building meaningful relationships with his clients and providing the highest quality results for every project. We design and supply all types of cabinetry for your home or business! Elite builders center with personalize custom designs. Multiple cabinetry lines to choose from that will cater to each homeowner/builder allowance. Boutique quality at affordable pricing! 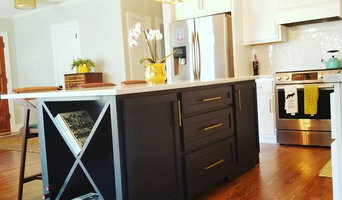 When you want the finest cabinets in all of Savannah, GA, call on Kitchens & Floors Etc., who has been serving the community and surrounding areas since 2008. For many years we have offered cabinetry, flooring, counter tops and much more. We are a one stop shop for all your remodeling needs, selling and installing kitchen and bathroom cabinets and counter tops from laminate to granite. Our flooring is covered from carpet to hardwood, laminate and tile. We have the years of experience necessary to handle the job in an efficient and reliable manner with affordable rates. Looking for custom cabinets, counter tops, flooring and remodeling in Savannah, GA, call on Kitchens & Floors Etc today. American Wood Reface uses only the best cabinet refacing components and techniques to transform your kitchen from outdated and worn to modern and refreshed! Get your dream kitchen without the mess and expense of tearing out old cabinets with our solid wood cabinet refacing system that uses only the best, solid wood facing for lasting quality. In addition, we now offer countertop replacement—with or without countertop refacing! American Wood Reface serves Northeast Ohio and all of the Carolinas. Contact us today for a free in-home consultation! Local business who specializes in custom wood work ranging from cabinetry to antique cars and everything in between. Elite Cabinet Studio creates a world of breathtaking possibilities for retail, institutional, corporate, and hospitality environments. Skilled craftsmen apply an elegant, powerful approach to your project: imagination, vision, experience and pride create a solution that enhances your business. The result is a stunning visual presentation and a space within which people— customers, patients, employees—feel comfortable, productive and confident. Some of the largest companies and retailers in the world trust their interior environments to Elite Cabinet Studio. Our dedicated team stands ready to help transform your vision and requirements into the next great interior space. We create a level of detail in our Design/Build process that enables designers to transform their visions into mechanical reality. We believe in going above and beyond to work with our customers to achieve the design they want and are transparent with them by reducing prices when we achieve success with learning curve and economies of scale. The Value we offer our customers is to provide the quality they expect at a competitive price. We specialize in Home Remodeling and Maintenance Services. From our Professional Paint Staff, to our Master Carpenters, We really can do it all! From Commercial Cleaning to Landscaping, and Painting to Room Additions, we have all your home solutions! We are licensed, insured and provide great customer service and even better quality work. If you want to upgrade your kitchen without significantly reducing your bank account, consider refacing your kitchen cabinets. A budget-friendly option with huge impact, cabinet refacing costs about half as much as replacing your cabinetry, takes a lot less time and money, and allows you to still use your kitchen while the refacing is underway. Browse Bluffton, SC cabinet refacing professionals on Houzz and find someone who can transform your kitchen with just one quick project. Cabinet refacing professionals in Bluffton, SC have the power to create a practical yet personalized space just by refacing your cabinets. When it comes to the finished look, your options are endless — veneers and door/drawer fronts come in a variety of colors, textures, patterns and more, allowing you to mix and match choices to get your desired look. New hinges, drawer pulls and knobs complete your cabinet makeover and add crucial details. Create an ideabook on Houzz and save examples of the cabinets you want — this will help your Bluffton cabinet refacing contractor get on board with your vision and make your design a reality.